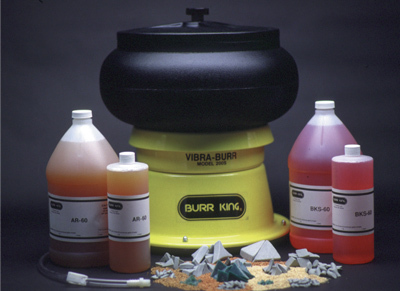 Burr King vibratory bowls are ideal for bench top polishing, descaling, deburring, and surface conditioning. Units are fast, quiet, and effective. 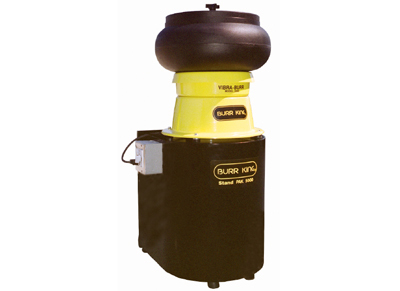 Available in 3 qt, 10 qt, and 20 qt volumes. 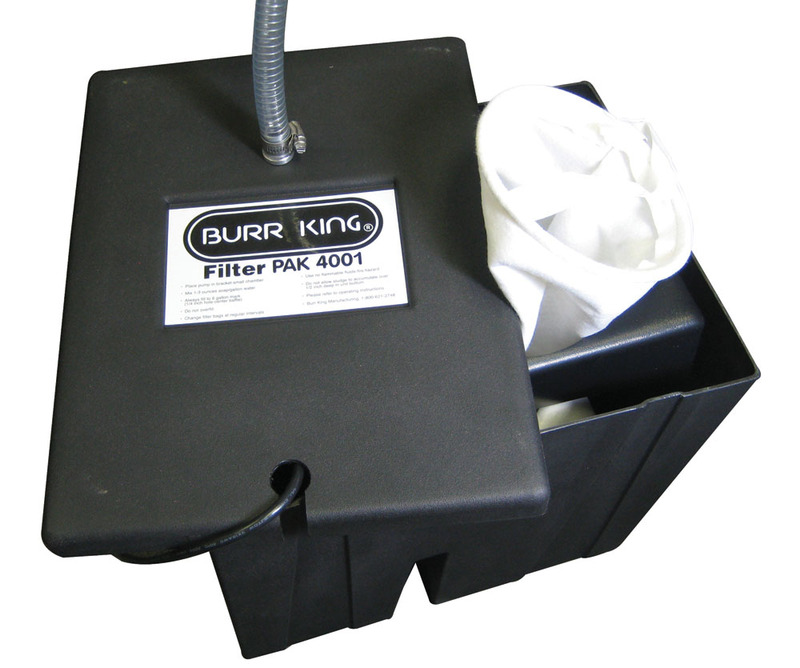 The 150 and 200 bowl Combi PAK comes with your choice of Sump PAK 1000 or Filter PAK 4001. Also comes with the Stand PAK 5000 which includes a timer. 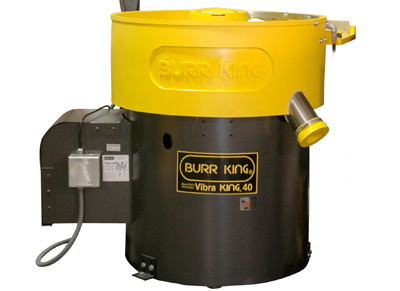 Vibra KING 40 delivers fast, quiet, high performance deburring, polishing, burnishing, descaling, and surface conditioning. 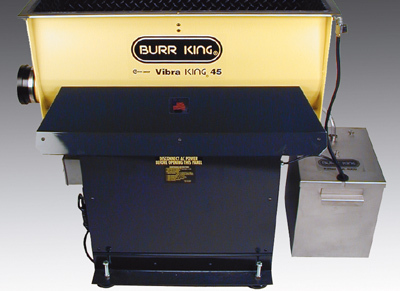 Vibra KING 40 has a unique part unloading system, the parts will separate from the media simply by turning the machine dial to separate. 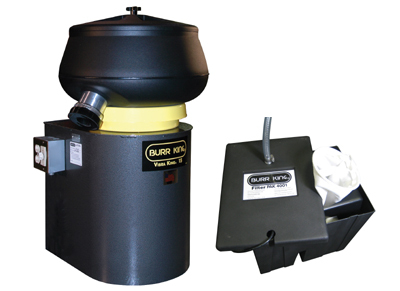 Vibratory media kits are designed to get you started with our equipment and the materials you will need to process your parts. Kits include ceramic, plastic or pins to fill your machine, 1 qt. BKS-60 soap solution and 1 qt. AR-60 soap solution. Items listed are normal stock items. 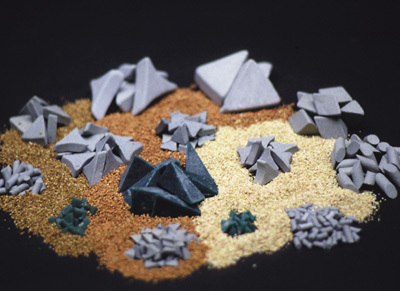 See our ceramic/plastic media sheets under the flyers section to see more media types, call Factory for different Sizes/Shapes/Formulas or feel free to call if you need help with media selection or have questions regarding the vibratory process. 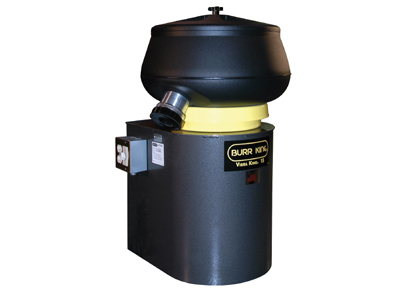 Filtration systems used with our machines make them very versatile. 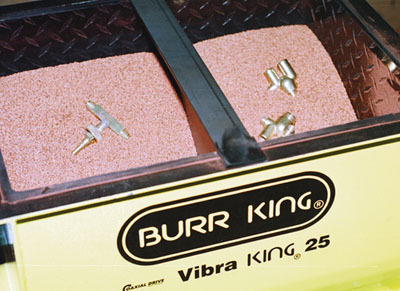 Choose from any of our accessories to expand the functionality of your BURR KING products. 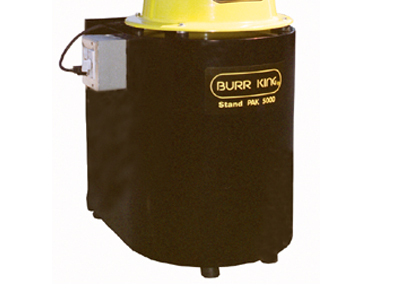 This category contains, Vibratory Control Stand, Vibra KING Bowl Stand, Dividers, Chamber Lids, Deflectors, Part Removal Magnets, Vibratory Chamber Replacement Tubs, Vibratory Screen Separators. 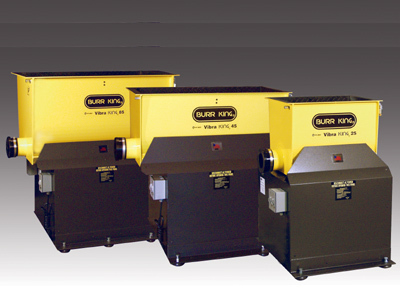 Internal Grinding Attachments Convert Models 482, 760 and 1272 Grinders for Internal Grinding. 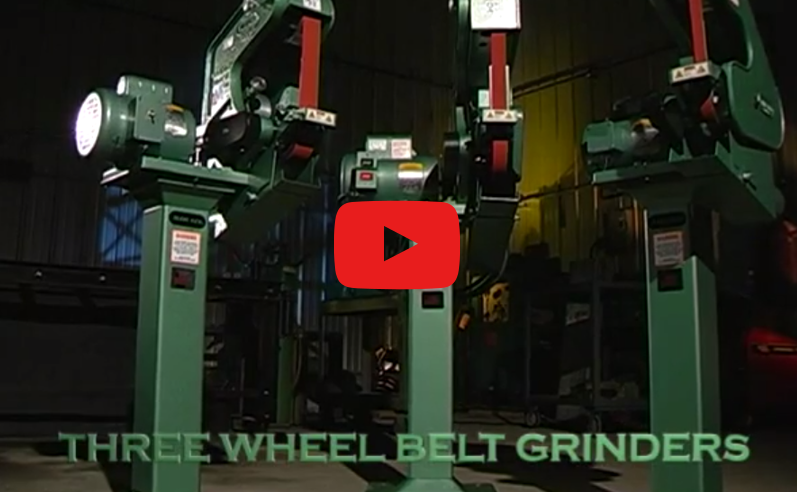 There are a variety of wheel options available for our versatile attachments. 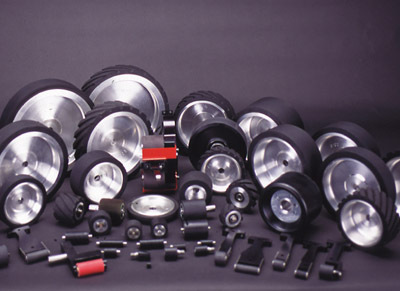 If you don't see what you're looking for give us a call and we will help find the right wheel for your needs. 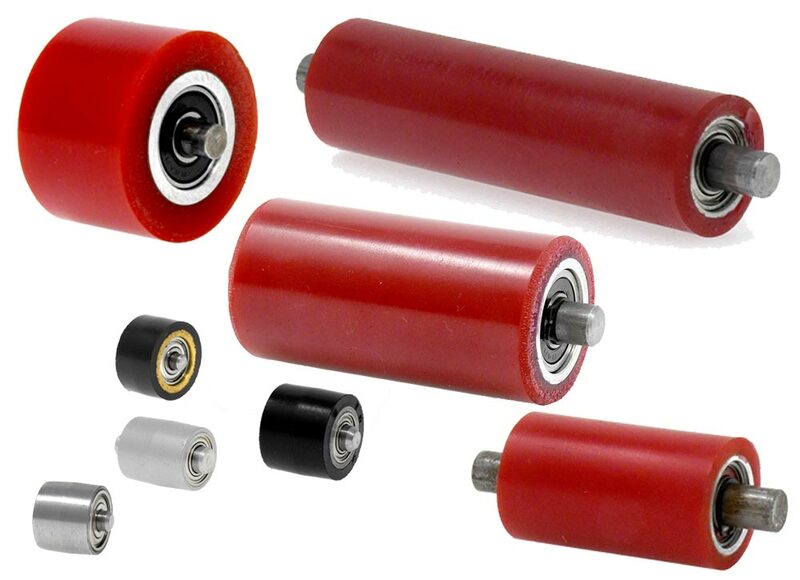 Outboard bearing wheels have a 7/8" OD bearing and can be used with many different manufactures small wheel arms. 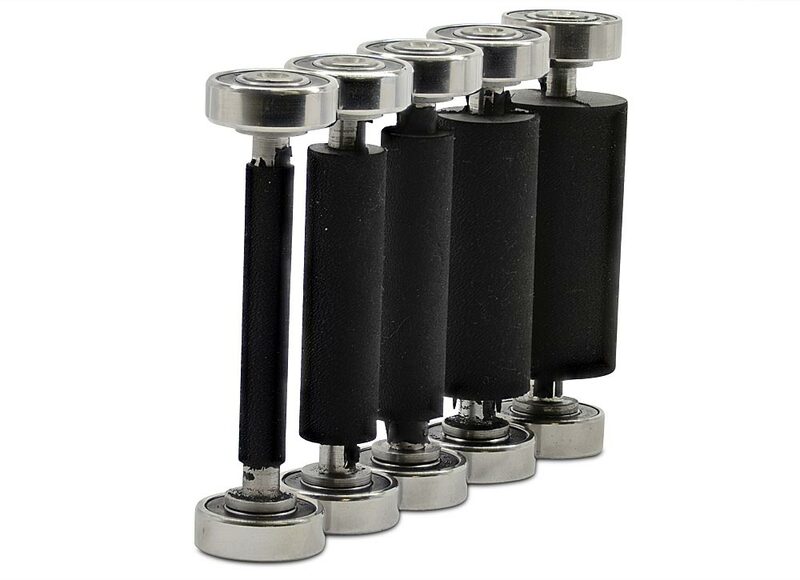 Outboard bearing small wheels have the advantage of a larger diameter bearing which allows higher SFPM and higher pressures to be applied. 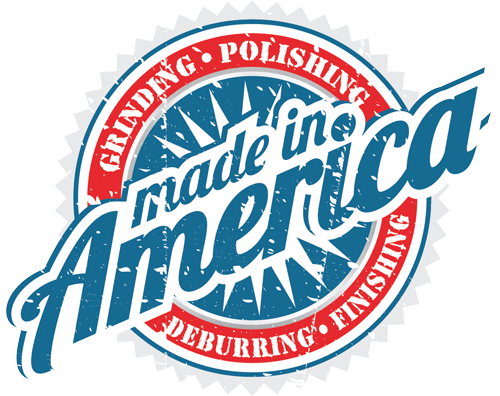 The wheels are made at our factory in Missouri. They are vulcanized from our proprietary rubber formulation, and will make our wheels outlast others. 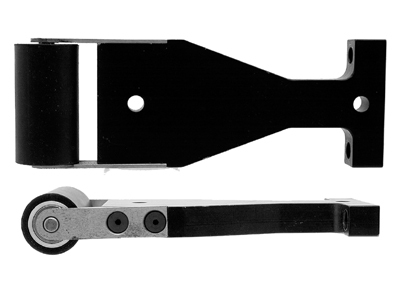 Want to run outboard bearings on your 1400 small wheel attachment or M720? Find the adapter kit here. Upgrade you older 965 on your 960-272 Knifemaker? 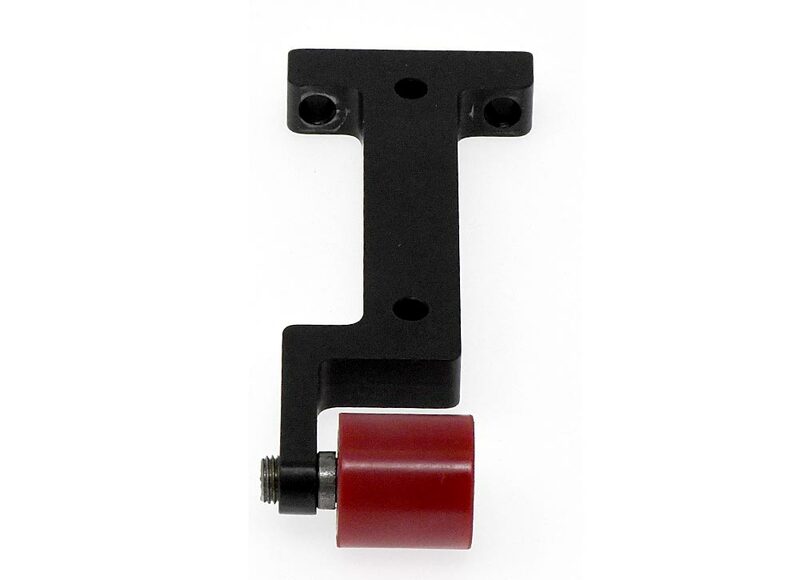 Find the adapter kit here. 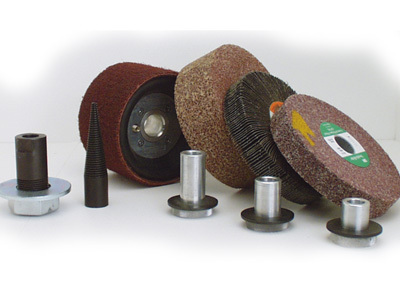 Grinders/buffers capability is readily expanded by selection of the best contact wheel/buffing wheel combination for your material. 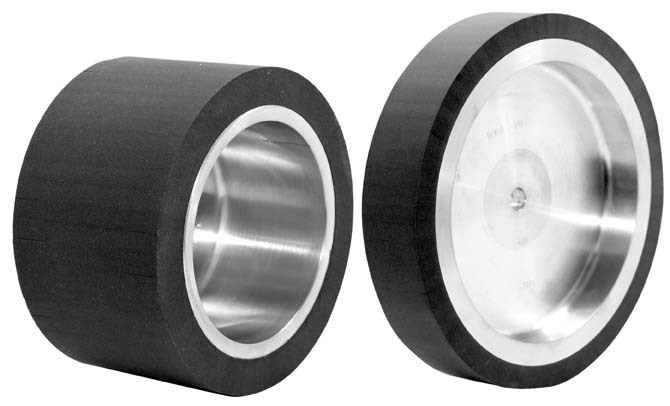 Many contact wheel diameters, widths, hardnesses and face geometries are available - 55 shore, for general purpose grinding, 90 shore serrated for heavy grinding. 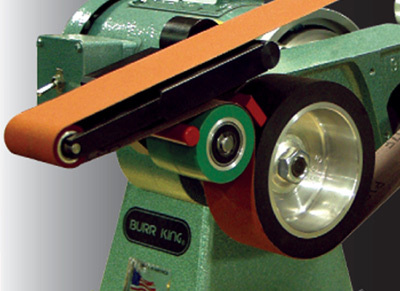 Numerous nylon wheels, buffing wheels and specialty wheels are available. 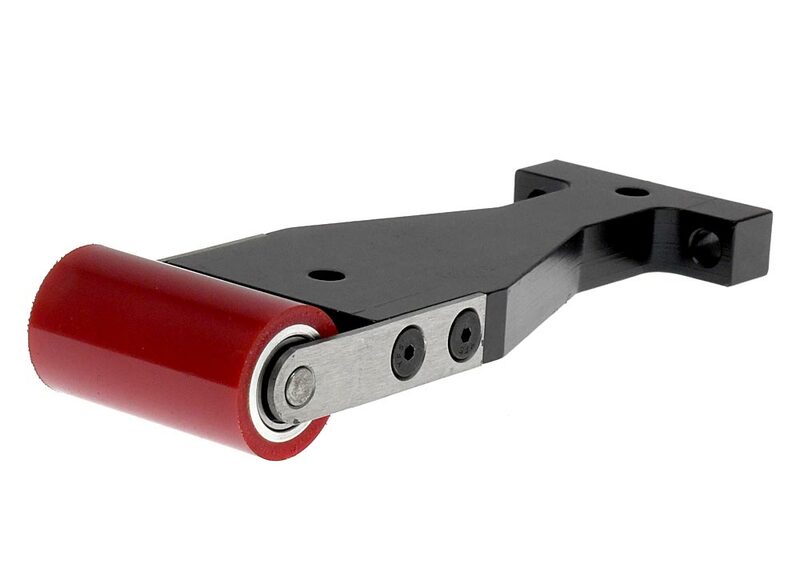 Many of our wheels have the part number stamped into the face of the wheel. Larger diameter drive wheels will include two sets of numbers. The top number will be a product code and the bottom number will be a date stamp. Consult with the factory for proper selection. 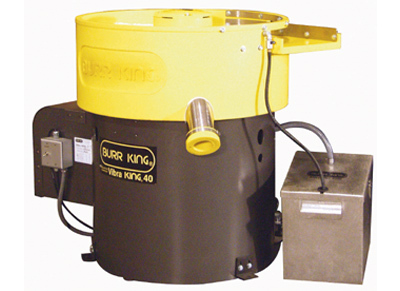 Foam Contact Wheels for Burr King Grinders and de-burring machines. 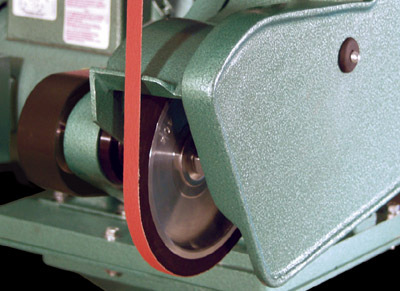 The optional 702N "Narrow Wheel" uses a 1/2" x 60" abrasive belt, for tight radius and loose belt grinding. 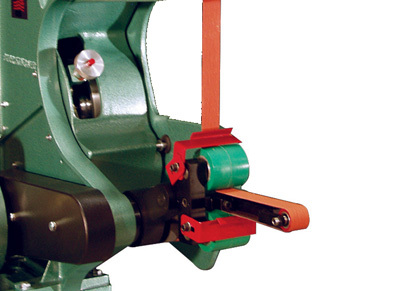 This section provides knife makers all of the parts for our 960-272 belt grinder. 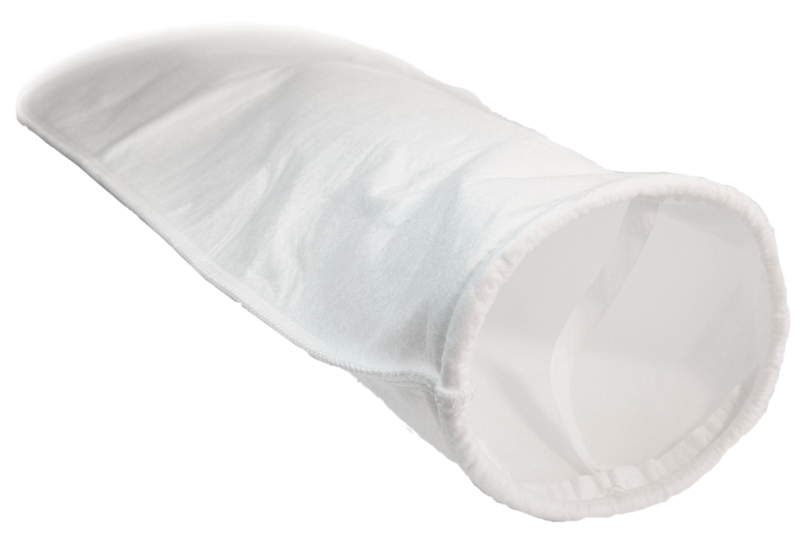 You will also find many accessories for this machine in this category.